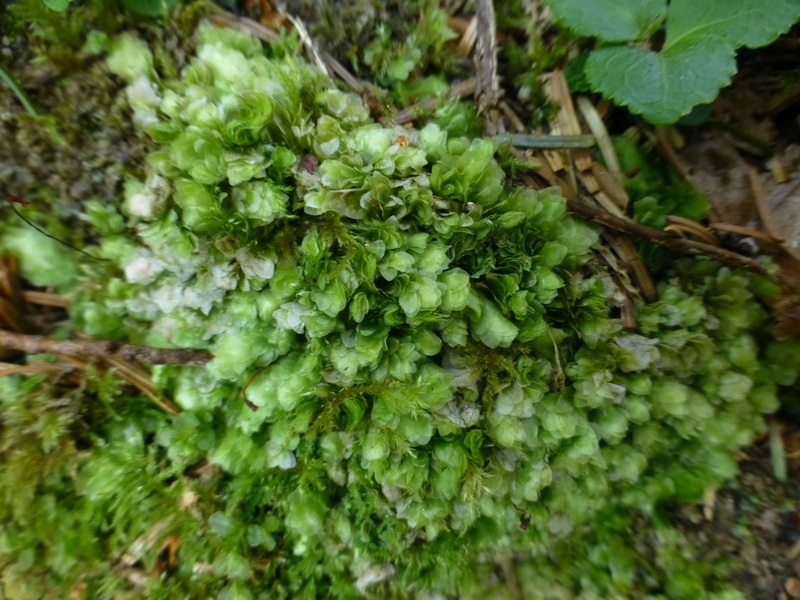 Clear moss is a glossy dark green, flattened, limp-looking species. The leaves are egg-shaped, blunt-tipped, translucent, and shiny. Individual leaves, and therefore their shape, may be difficult to differentiate initially as they are thin, flattened, and pressed-together. They lack a midrib and have large hexagonal cells that are visible with a hand lens. The stems are creeping, reach 8 cm long, and grow in small patches or as individuals. 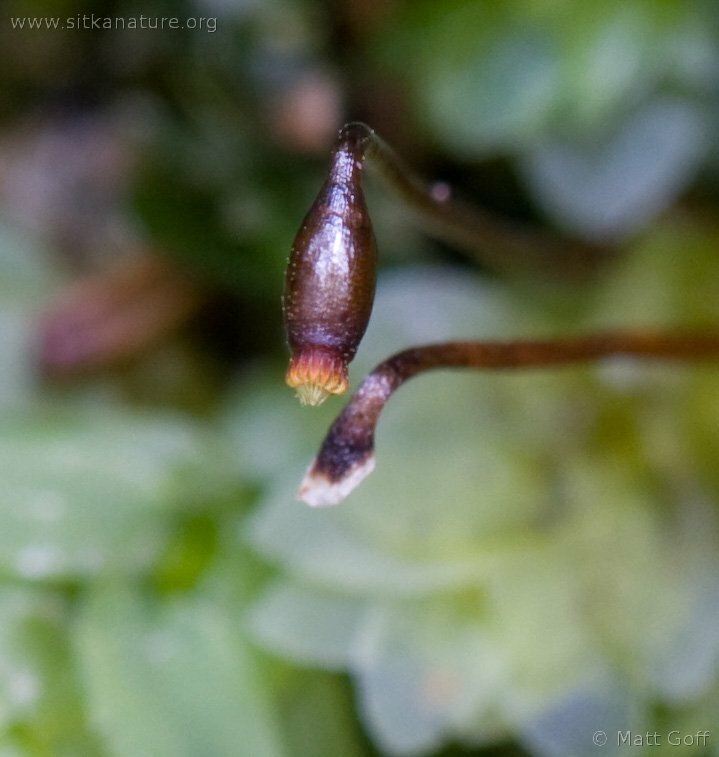 Sporophytes are uncommon. Clear moss grows on wet soil, rotting logs, and at the edges of swampy areas in humid low-elevation forests. Its is found mostly in coastal locations from southeastern Alaska to California; it also occurs in the United Kingdom, areas of western and central continental Europe, the Middle East, and northwestern Africa. Sharpleaf hookeria moss (Hookeria acutifolia) has sharply-pointed leaf tips. Other similar species, such as some from the Plagiothecium and Isopterygium genera, have thinner leaves. The large leaf cells of clear moss are also a helpful distinguishing feature. 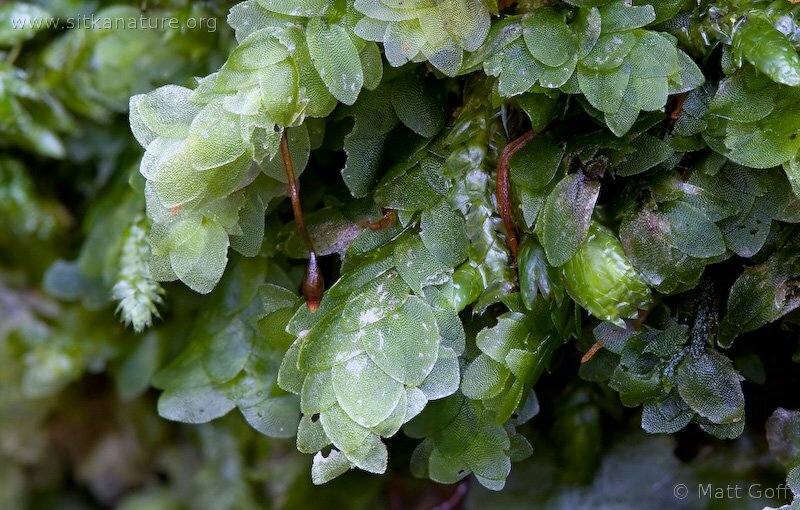 Clear moss could also be confused with some liverwort species; such leafy liverworts have a distinct leaf arrangement of 2 or 3 separate rows (upper as well as lateral, and/or under lobes). Hookeria lucens (Hedwig) J. E. Smith [Hookeriaceae]. California Moss eFlora. University Herbarium, University of California, Berekely. Accessed 08/09/2014. 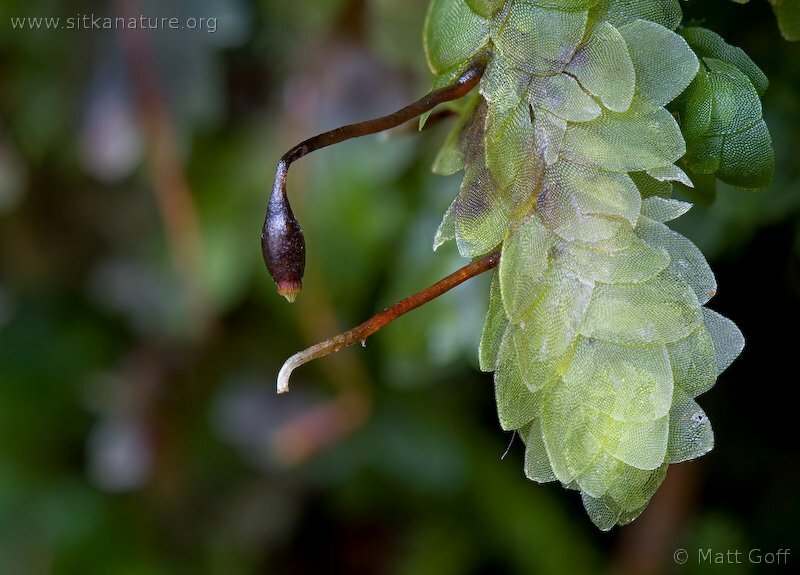 Hookeria lucens (Hedw.) Sm. In Klinkenberg, Brian. (Ed.). E-Flora BC: Electronic Atlas of the Plants of British Columbia. Lab for Advanced Spatial Analysis, Department of Geography, University of British Columbia, Vancouver. Accessed 08/09/2014. Pojar, J. and MacKinnon, A. (1994). Plants of Coastal British Columbia. Vancouver, BC: Lone Pine Publishing. P. 463. Vitt, D. H., Marsh, J. E., and Bovey, R. B. (1988). Mosses Lichens & Ferns of Northwest North America. Vancouver, BC: Lone Pine Publishing. P. 116.